On December 19 Calcasieu Parish Sheriff’s Office detectives received a call from a local bank in reference to a report of bank fraud. 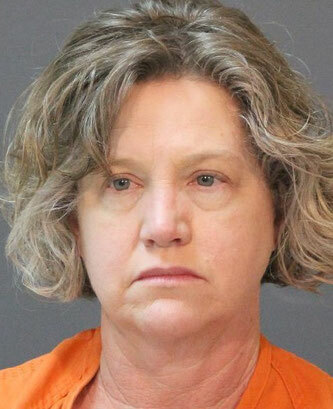 When detectives spoke with bank personnel they were advised that auditors working for the bank discovered an employee, Julie B. Cormier, 56, 2023 Reed Cemetery Road, Vinton, had stolen approximately $47,500. The investigation revealed that from approximately May 2013 until June 2018 Cormier obtained loans in a customer’s name, without their consent or knowledge, and received the money. It was also learned she fraudulently used funds from other customers’ accounts to pay the loan notes. When detectives spoke with Cormier she stated she was responsible for obtaining the loan, as well as, drafting the other accounts to make the loan payments. On February 1, after further investigation Cormier was arrested and booked into the Calcasieu Correctional Center and charged with bank fraud and 6 counts of identity theft. She was released later the same day on a $25,000 bond set by Judge Sharon Wilson. CPSO Detective Edward Curol is the lead investigator in this case.